This is fantastic Debra. The orange looks good enough to eat, and I love the detail on the plate. These oranges look delicious. The plate you have been using has such beautiful designs and you capture it so well. I immediately felt like taking a bite ! Terrific ! Lovely pattern on the plate too ! Oh my! Your radiant drawings (I really don't dare calling them "sketches") just blow my mind! Especially these luscious oranges! And the fan! Incredible, seriously! I adore your way of using light and color! 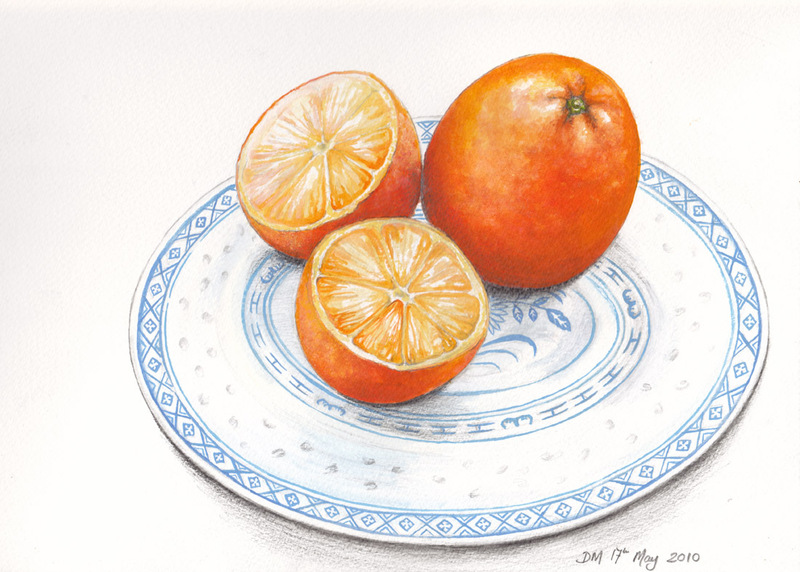 The yummy orange and the delicate detailed plate make an excellent composition. The whole thing is fantastic. You have a lot of patience.